data·yze collects and stores standard anonymoized web traffic information, as well as some app input. Data collected by data·yze is used for website improvement and personalization. Data collected by data·yze is never sold, or transferred to third parties. data·yze monitors user activity in order to better understand how visitors are using the site. This helps us make website improvements & app enhancements, as well as identify potential bugs and error conditions. data·yze collects and store standard traffic data such as URLs visited with corresponding timestamp and pseudo anonymoized ipaddresses in order to better understand how users are using our site and our apps. Pseudo anonymoization of the IP address is achieved by converting the last octet to 0. For example, Datayze's ip address is 69.163.169.6. Pseudo anonymoized, it would be stored as 69.163.169.0. This allows us to get a general idea of the geographical region visitors may be coming from, but prevents us from being able to uniquely identify specific visitors. data·yze also collects the some of the user supplied data to our app forms. Such data is only collected when it cannot be considered unique to a specific user. 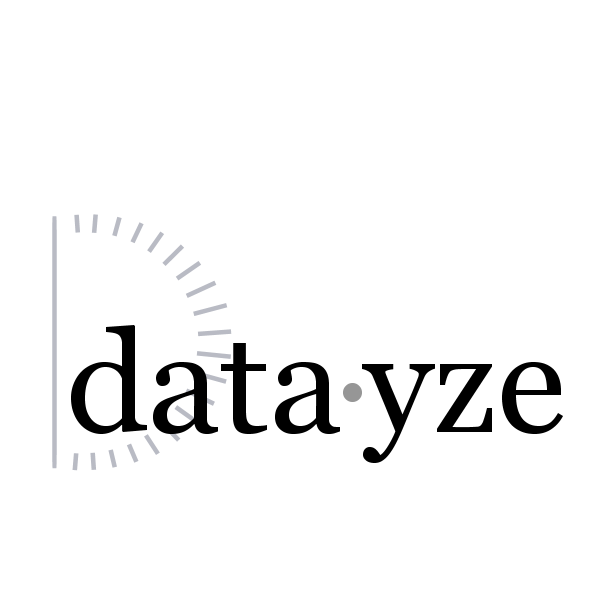 Note: Datayze does not collect or store passages of text analyzed by the Writing Assistance Apps. See Data Not Collected for more information. Uploaded Images are cached in order to improve processing time. data·yze is not collecting the passages of text analyzed by the Writing Assistance Apps. Even if they don't contain sensitive information, writing samples can be thought of as unique digital fingerprints as it is unlikely for two individuals to write the exact same passage. Thus it is our policy not to store them in whole or in part. data·yze does, however, store the passage length, which is useful for analyzing performance of said apps. We may choose to store other meta information about the passages, such as character set encoding or language, in the future. This information is useful for ensuring the writing assistance apps are able to meet the needs of our users. When a user fills out the contact form, our server sends an email with the user supplied content to the site administrator. Neither the message content, nor the email address (if supplied by the user) is stored on our server. Additionally, the user's pseudo anonymoized ipaddress is not included in the email nor stored on the server. data·yze does not store the content of pages crawled by the spider. data·yze does keep track of which pages are crawled, in order to enforce the per user url cap, as well as monitor for possible abuse. data·yze uses third party cookies for analyzing web traffic and serving personal ads. You may opt out of these cookies and recieve non-personalized ads. EU Members recieve only non-personalized ads. From the Terms of Service that by using this site you are consenting to being shown ads. Keep in mind that many of these apps serve narrow audiances. It is possible to make predictions about a user's interests based solely on the apps they are visiting. For example, most visitors to the Miscarriage Reassurer are either pregnant, know someone who is, or are interested in pregnancy. Google’s use of the DoubleClick cookie enables it and its partners to serve ads to your users based on their visit to your sites and/or other sites on the internet. Users may opt out of the use of the DoubleClick cookie for interest-based advertising by visiting Google Ad Settings. Data collected by data·yze is never given, sold, or transferred to any other third party.